India Yamaha Motors, the country's leading two-wheeler manufacturer, is all set to launch the new long awaited, Yamaha YZF R125 in India. The new bike is in headlines from the few months ago in the auto market, but now ready to hit the Indian market. As per some auto website reports, the new Yamaha YZF R125 is expected to be launched in Diwali. 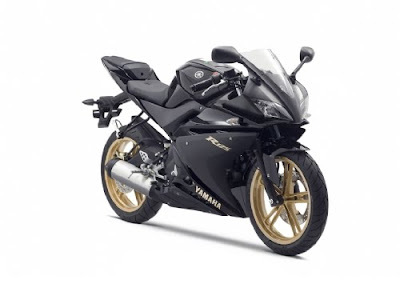 At present, Yamaha Motor has strong line-up of most popular premium motorcycles including Yamaha FZ, Yamaha Fazer, Yamaha Fz16, Yamaha Fzs, Yamaha Yzf R1, Yamaha Ss 125 and Yamaha G5. The new YZF R125 will take place between Yamaha Fazer and Yamaha YZF R1. 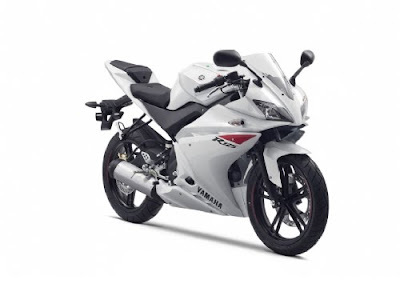 The company has also launched Yamaha YZF R125 in overseas market. After getting huge success of R125 in overseas two-wheeler markets, the company looking forward to introduce in the Indian auto market. The new bike might be launched with a 124.6cc, Liquid-cooled, 4-stroke, single cylinder, 4-valve, SOHC machine. The powertrain of the bike has got a good capabilities to produce maximum power output of 14.5 Bhp at 9000 rpm while develops maximum torque of 12.2 Nm at 8000 rpm. It looks very sports and charming, which may attract more new bike lovers, who wants to get this kind of bikes. The new bike also comes with Alloy wheels and electric start option, which are presently fitting in all premium bikes to make it more stylish and comfy. However, the company has not yet disclosed the pricing details of new Yamaha YZF R125 in India, but as per some news reports, the new bike is expected to be available with amazing price tag around Rs.90,000 (ex-showroom,Delhi). Apart from that launch, India Yamaha Motors is also targeting to expand their two-wheeler market by the introducing wide range of new vehicles like Yamaha Bws (premium scooter), Yamaha Nouvo, etc. India is the big market for two wheelers because of its population. So the Honda and Yamaha two giant in bikes industry focusing on India for their business.